Genre/Influences: Dark-ambient, drones, cinematographic, industrial. Background/Info: Nicolas Van Meirhaeghe aka Sal-Ocin is back on track unleashing a new Empusae opus of 2 cuts. He invited guest singer Chve (aka Colin H Van Eeckhout) to join in while live member Tom De Doncker contributed to the work as well. 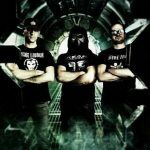 Empusae last year joined hands with the Belgian label Consouling Sounds for a split-album together with Klankdal, but “Lueur” is the first real full length from Sal-Ocin on this label. Content: The work is characterized by an impressive canvas of influences. 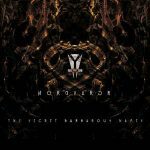 You’ll hear drones mixed with orchestral arrangements and a real overwhelming cinematographic approach. Mysterious and sometimes humming voices are adding a mysterious and somewhat ritual touch to the work. Both songs are quite different and yet totally cohesive. There’s a subtle progression in the writing resulting in a truly apotheosis, which on the second cut is created by crescendo piano loops, drones and incoming voices. + + + : The evolution of the Empusae sound and global composition throughout the years is absolutely amazing. “Lueur” reveals a mature and intelligent writing, but still a kind of visionary approach in the fusion between all different genres. The work sounds pretty compact and yet it makes me think to a sonic puzzle where each little piece fits with the next one. From drones to ambient to industrial to experimental and last, but not least the addition of overwhelming vocal parts this album is a real accomplishment. Both cuts have been meticulously built up till reaching a transcendental climax. – – – : My only regret is that this work only features 2 cuts. The only thing you can do, is to press the ‘play’ button again. 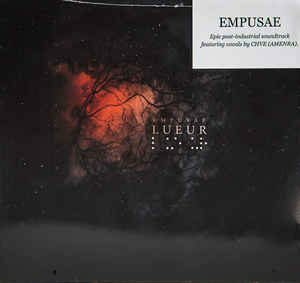 Conclusion: “Lueur” is a dark, artistic creation and definitely one of the absolute masterpieces from the Empusae discography. Best songs: “Guiding Light”, “Retinae Tenebrae”.